At a time when the Kingdom of Saudi Arabia’s National Transformation Plan is well underway to reduce the nation’s public-sector dependence by 2030, a high-profile delegation from Sharjah has visited two major cities of the Kingdom – Jeddah and Mecca, on November 26-27, to explore prospects for new partnerships in non-oil sectors, which will drive regional growth. 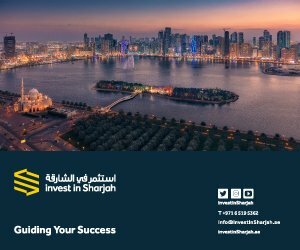 The Sharjah FDI Office (Invest in Sharjah) led this delegation, taking them on a ‘Sharjah Roadshow in The Kingdom of Saudi Arabia’ through the two cities, and facilitated a series networking meetings with leading Saudi businessmen, government representatives, and industry experts. 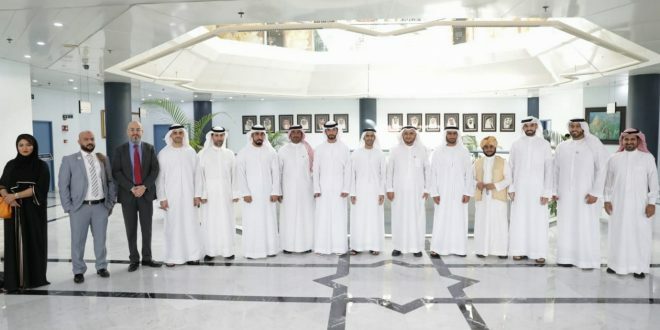 Through the two-day roadshow, Saudi Arabian players have taken a closer look at Sharjah’s rapidly diversifying and investor-friendly economy in major non-oil sectors including tourism, hospitality, real estate, trade, media, health, education, renewable energy and SMEs. They explored ways in which they can leverage these opportunities to promote and strengthen KSA’s private sector. The Sharjah delegation comprised HE Aref Ali Al Tabour Al Nuaimi, Consul General of the UAE in Jeddah, HE Marwan bin Jassim Al Sarkal, Executive Chairman of Sharjah Investment and Development Authority (Shurooq), Sheikh Saud bin Mohammed Al Qasimi, Deputy Head of the Industrial Investment at the Sharjah Economic Development Department, and Mohammed Juma Al Musharrkh, CEO of Invest in Sharjah. 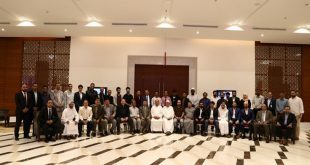 The delegation also included Ibrahim Al Hashimi, Director of Government Relations at Sharjah Media City (Shams), Samer Bukamel, Vice President of Sales at ARADA, and a number of officials and representatives of government and private bodies in Sharjah. On the first day of the roadshow, Invest in Sharjah organised a business meeting with the Jeddah Chamber of Commerce and Industry. On the second day, they Makkah Chamber of Commerce and Industry. Al Sarkal highlighted the strong bilateral relations the UAE and KSA share, especially in economic sectors. The UAE is the Kingdom’s biggest trade partner in the Gulf and greater Arab region. In 2017, the value of trade between the two countries was approximately $23 billion. 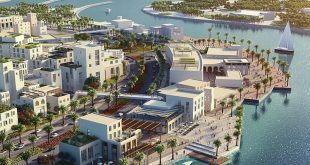 Established in 2016, Invest in Sharjah is one of the emirate’s key economic growth drivers. 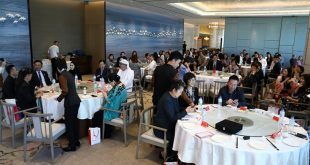 It functions as a strategic facilitator to investors, servicing them with a 360-degree informative and physical support, allowing them a full understanding on processes, investment advantages and insights on key sectors that fit their business profiles in the emirate.